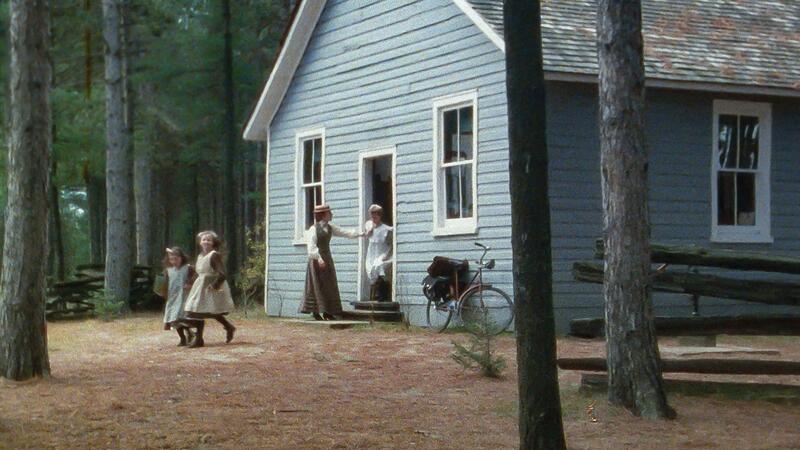 10 Anne of Green Gables Famous Filming Locations! Finding the perfect location for filming is important. 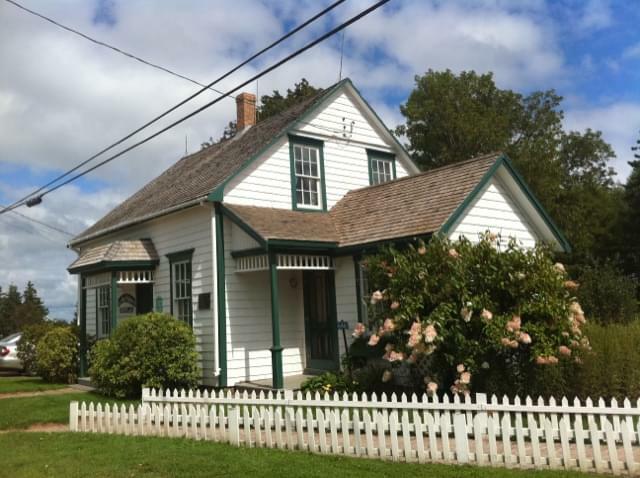 This iconic white and green farmhouse was built in the 1850s and was used in all of the Anne of Green Gables films and in Road to Avonlea. 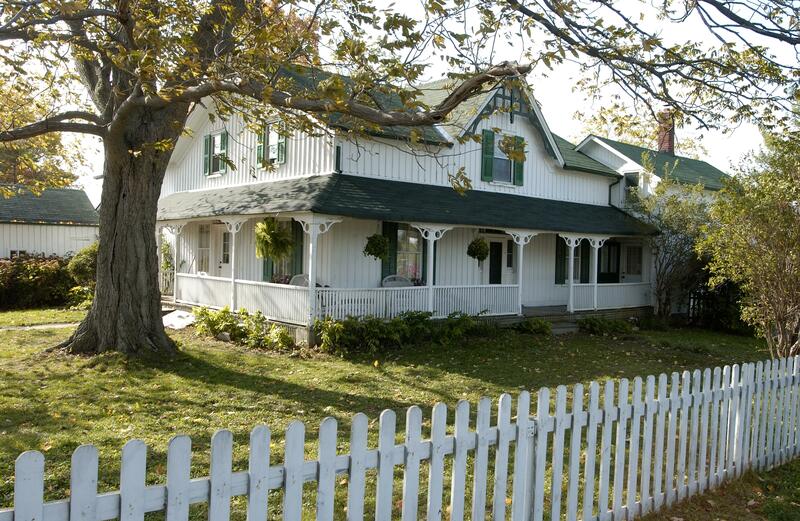 The veranda railing and white picket fence were put up by Sullivan Entertainment during filming. 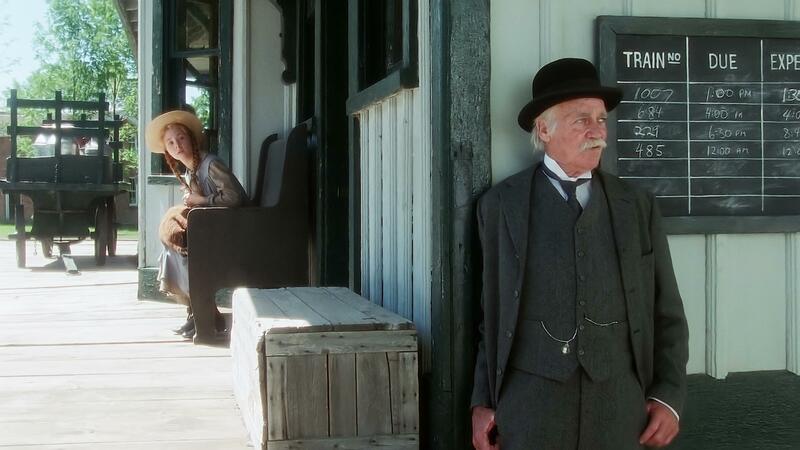 The Jerseyville Railway Station was used as the Bright River Station when Anne first arrives in Green Gables. The railway was also used in Road to Avonlea when Sara Stanley arrives for the first time in Avonlea with her nanny and Andrew King. This station was originally built in Jerseyville and was the first building moved to the Westfield Heritage Village. The Westfield Heritage Village now contains over 30 historical buildings; many were used for scenes in Anne of Green Gables. The scenes of Hammond Sawmill where Mr. Hammond dies, the orphanage bedroom and the interior of Lawson's Store were all taken from this village. Pickering Museum Village is the largest living historical pioneer village in Durham Region, with 19 heritage buildings. The Cole House was where Anne walked the ridgepole of a roof. The interior of the Oddfellows Hall was used as the Carmody Town Hall, where Anne attends her first ball, and the Blacksmith Shop was the Spurgeon Farm and can be seen in the background of Mr. Philips' departure. 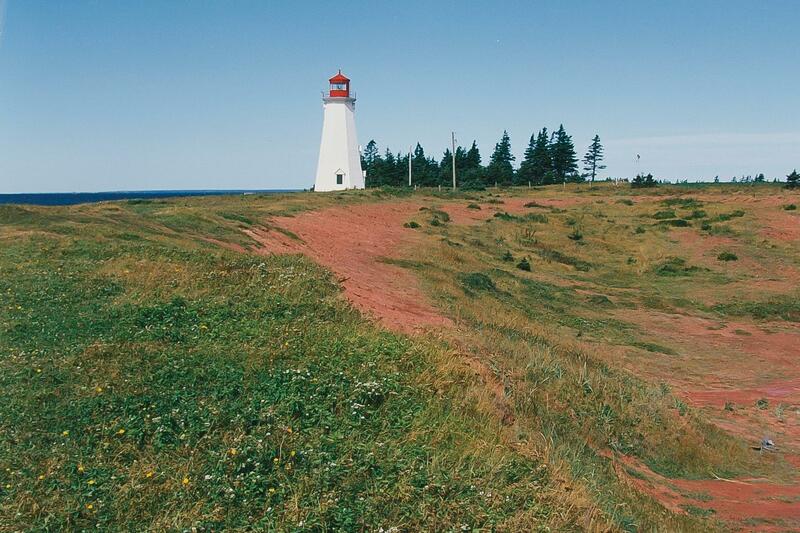 Seacow Head Lighthouse is one of the most well-known symbols of Anne of Green Gables and Road to Avonlea. It is one of the oldest structures on P.E.I. and stands 18.3 meters tall. The name "Seacow Head" is in reference to the formerly abundant walrus population in nearby waters. The lighthouse was made automated on November 12, 1959, and the keeper's dwelling was sold on March 7, 1960 and removed from the site. The exterior of this magnificent P.E.I. 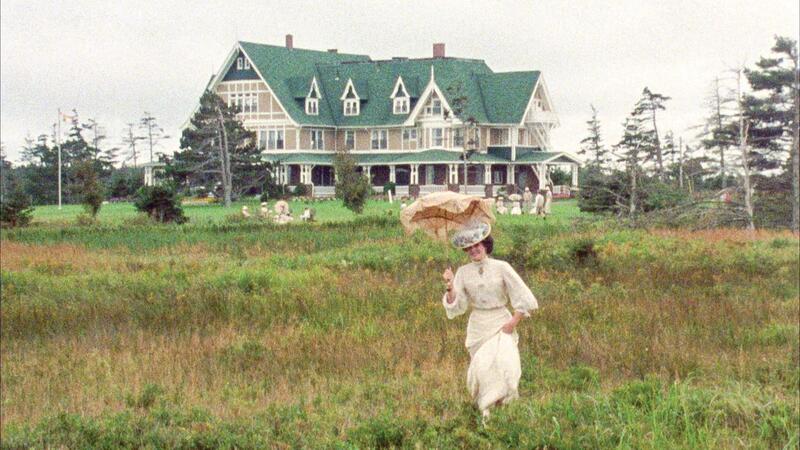 Inn was used as the White Sands Hotel in Anne of Green Gables: The Sequel. The building was constructed in 1896 to 1899 by American oil industrialist Alexander McDonald, and served as a summer residence for McDonald's family. Dalvay by the Sea is now a hotel and and dinning room by Parks Canada, located in the east end of P.E.I National Park on Dalvay Beach. The Spadina Museum, opened in 1984 is one of 10 historical sites operated by the City of Toronto. It was home to three generations of the Austin family. This house illustrated the evolution of styles from mid-Victorian to 1930s. 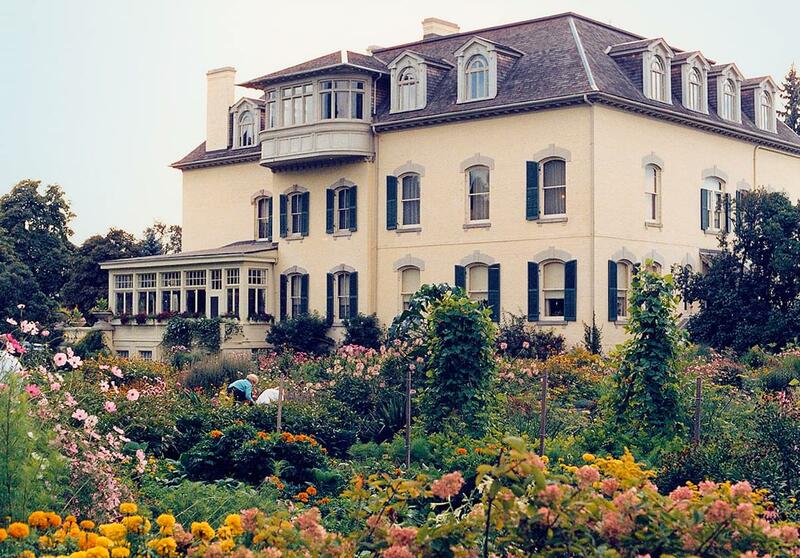 Both the interiors and exteriors were used as Beechwood, the home of Aunt Josephine Barry. The village of North Rustico founded in 1790, exists around a small natural harbour along the Gulf of the St. Lawrence Coast. The region was once home to Acadians who fled British capture and deportation during the Seven Years' War. 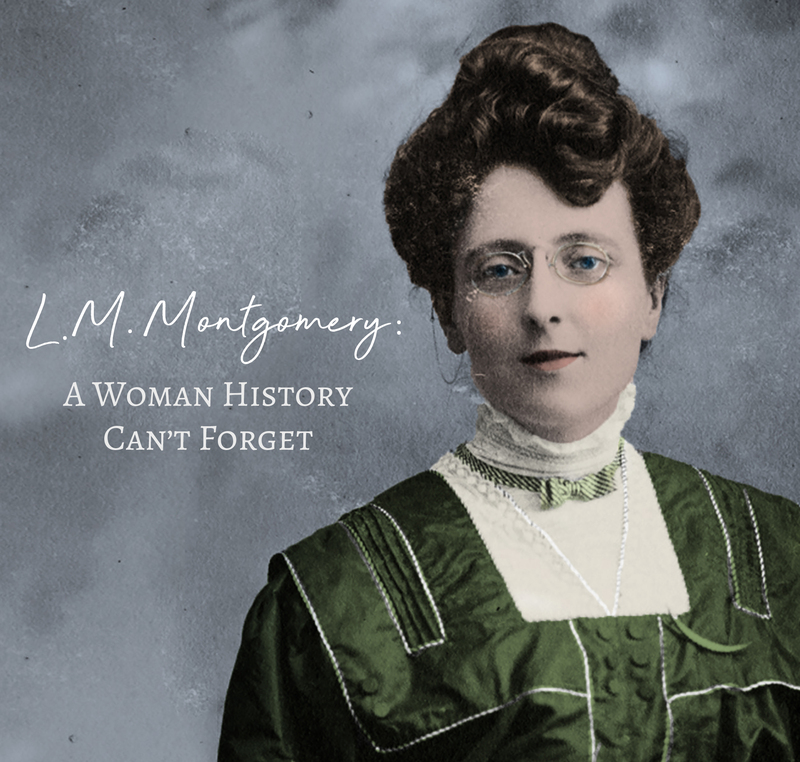 During the 19th and 20th centuries, the population became predominantly English, Scottish and Irish, although some of the Acadian culture still remains. 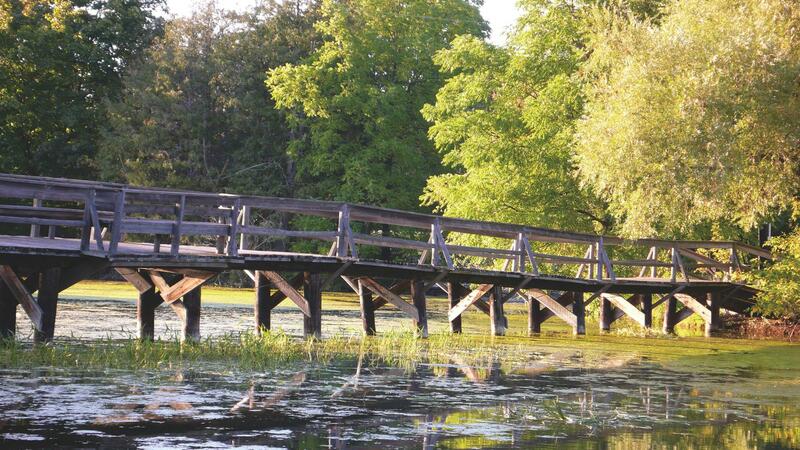 This rough-hewn footbridge was used many times in Anne of Green Gables, Anne of Avonlea and A New Beginning, including the scene where Anne nearly drowns while pretending to be the Lily Maid. The original bridge became unsafe and it had to be replaced, but the new bridge is identical to the one used in the films. This mansion appeared as Maplehurst in Anne of Green Gables: The Sequel. 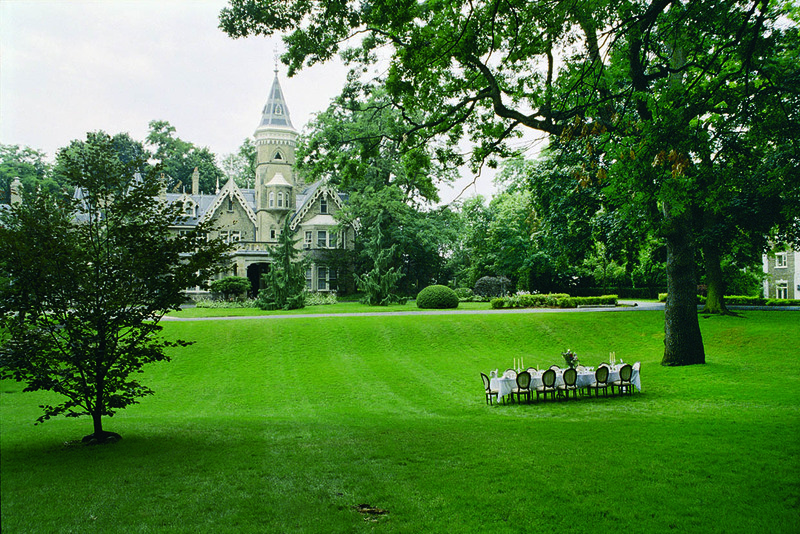 It was built in 1860 by Senator John Macdonald, and the building is currently the campus of a co-ed private school. The Victorian domestic architecture and interior designs at De La Salle College "Oaklands" were a perfect fit for The Sequel and The Piano Man's Daughter. The Simcoe County Museum is where the Avonlea Schoolhouse is located. 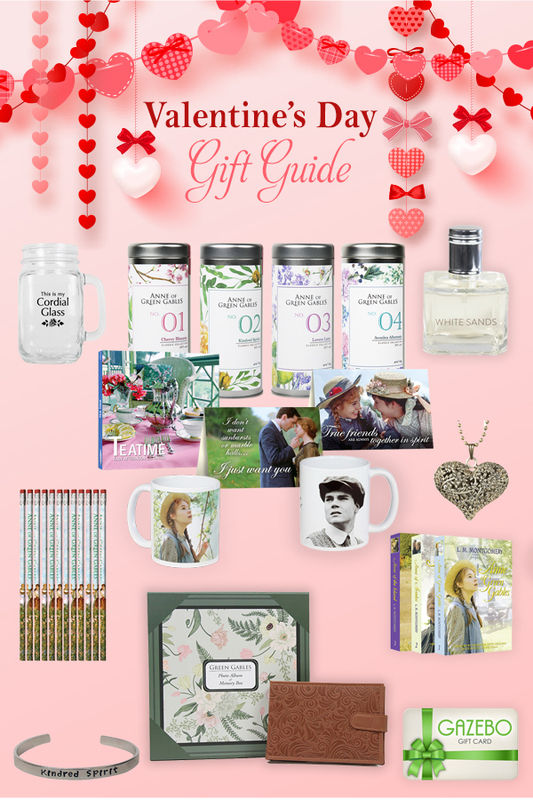 The scenes where Anne and Diana were bombarded with pinecones and when Anne trespasses on Mr. Sadler's farm were also filmed here. This large rural museum has several pioneer buildings and a modern display centre. 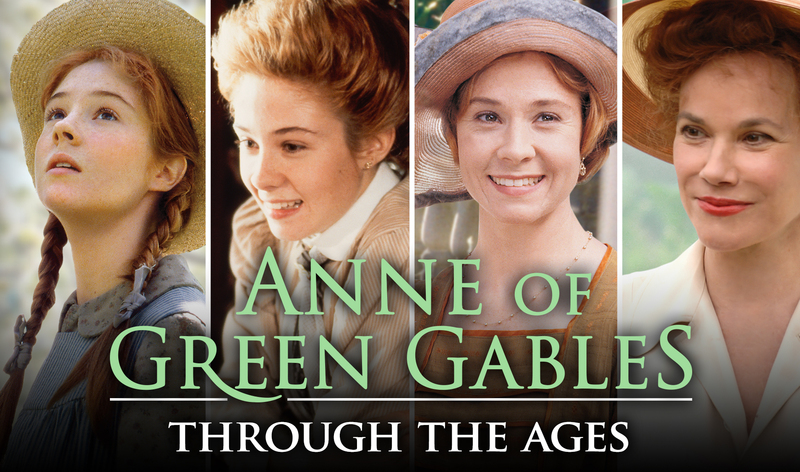 If you found these filming locations interesting to read about, you can find more in “Finding Green Gables, A Comprehensive Guide to all of the Filming Locations”, which is included in the Anne of Green Gables Blu-ray box set. 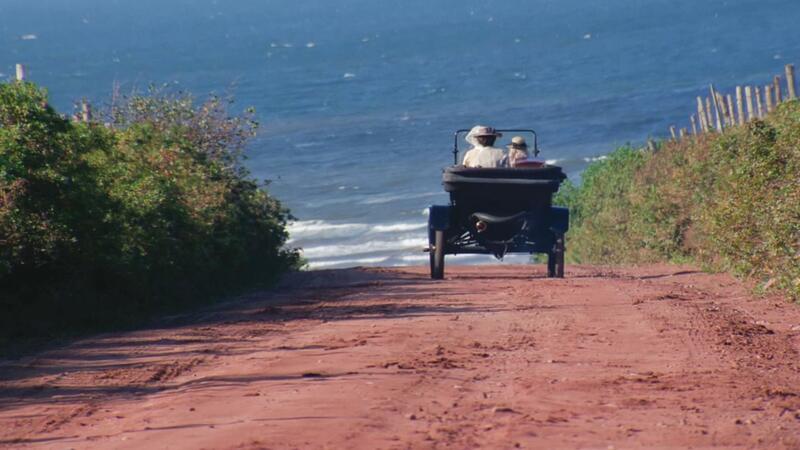 Watch our Anne of Green Gables filming locations video below! You can find all these locations and more in our films and shows at Gazebo TV.